I always wanted to be an astronaut, recently I’ve come to the conclusion that it’s probably not going to happen. I’ll just have to settle for drawing them instead. 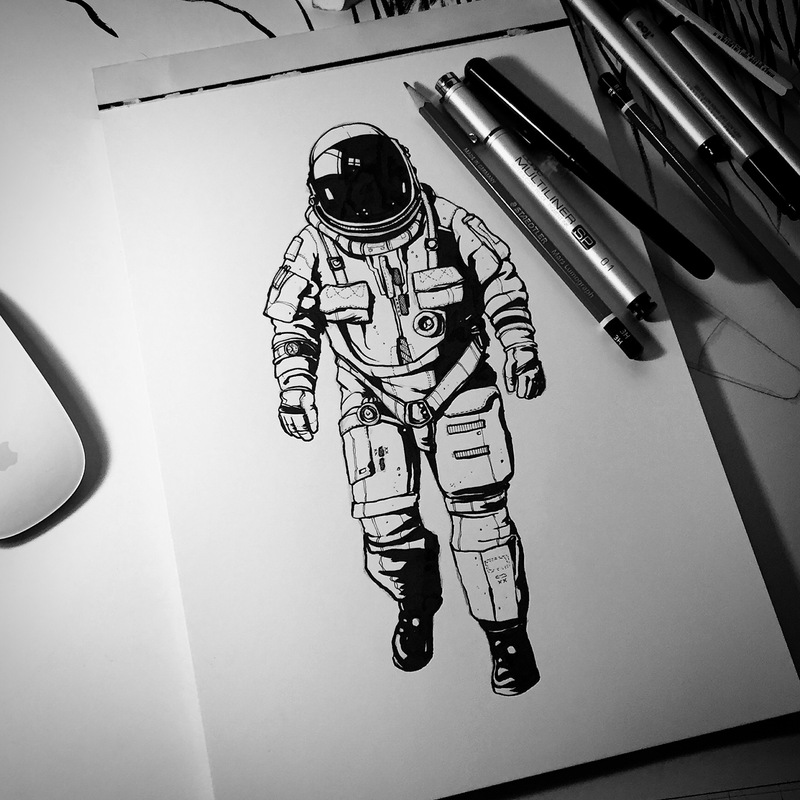 This is a 1980s NASA spacesuit, drawn with a Pentel Pocket Brush, little details added with a Copic Multiliner.